These charming little ornaments are from Angie Steveson, who probably doesn’t even remember giving them to me, oh, it must have been three summers ago in Orlando. 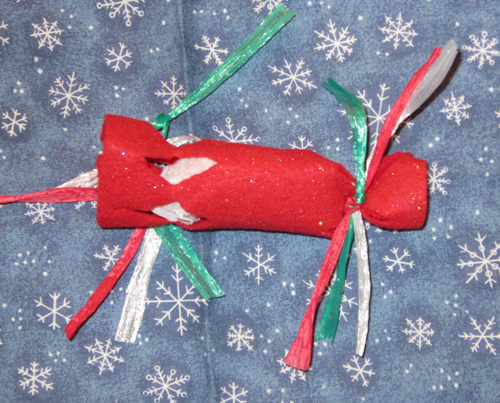 They’re simple to make and you probably have everything you need right in your craft box: A few pieces of stiff felt (the sparkly kind is especially nice), some raffia or ribbon, and a little bit of tissue paper or fiberfill. 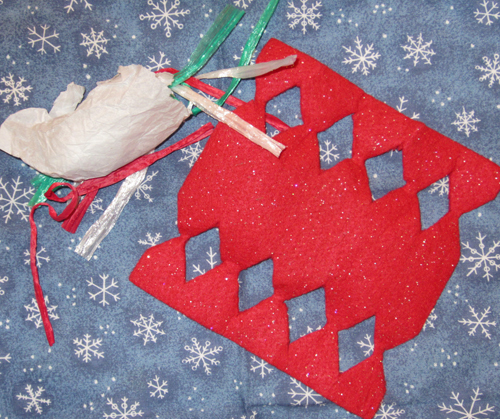 Trace the pattern onto felt or other non-raveling material and carefully cut on the lines. Alternatively, if you have BERNINA CutWork Software and the CutWork tool, scan the pattern and digitize the lines. Then use your embroidery machine to cut the pieces for you. 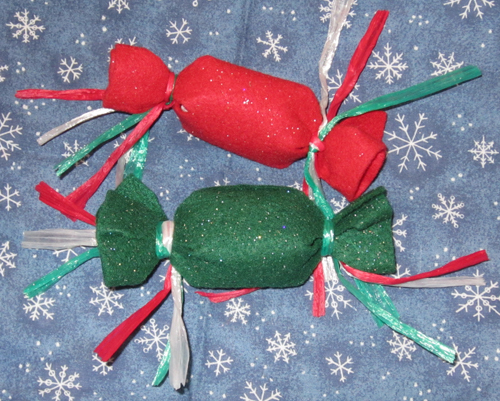 You can cut several layers at the same time and make LOTS of “candy” to give away over the holidays. 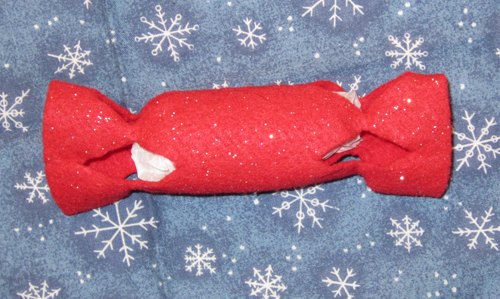 Roll the wrapper around a bit of scrunched-up tissue paper or a big pinch of fiber fill. Tie the ends with a few strands of raffia or skinny ribbon.